As the door closes on starter Tre Bryant’s 2017 season with Nebraska, the one for junior Devine Ozigbo appears to now be wide open. Davis said redshirt freshman wideout JD Spielman – who has experience playing in the backfield – has gotten looks this week at tailback and the Huskers could use him in new ways on Saturday against Purdue (possibly another change the team decided on during the bye), but it’s Ozigbo that provides the intrigue. When any coach has spoken this week, the desire to run the ball has been evident. Ozigbo sat on the bench for the first two games of the season. He had just two carries in week three. 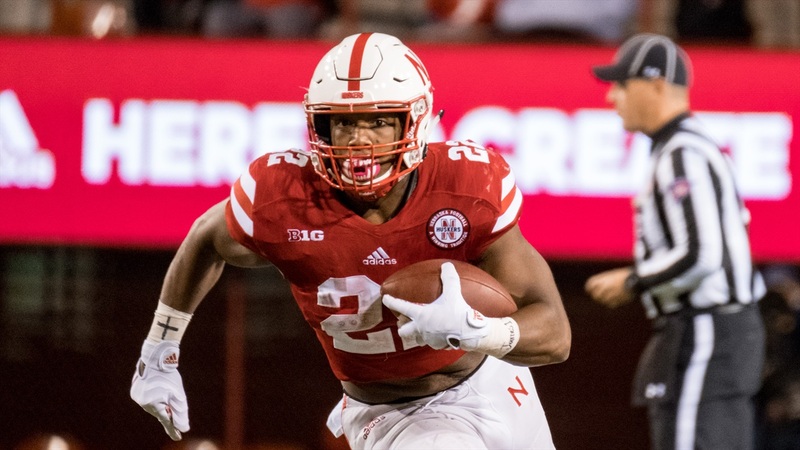 But, if you were to take the last three games, a stretch in which he was the unquestioned guy in the backfield, and apply Ozigbo’s numbers over a full 12-game season you’re looking at a 1,200-yard rusher in the Nebraska backfield. Even though Bryant is officially gone, Ozigbo said things won’t change. The Huskers haven’t gotten a yard of in-game production from Bryant in over a month, and even when they were, Ozigbo said he was still preparing the same way. He wants to get on the field. He doesn’t get caught up in who gets the start or the first carry, he cares about the performance. Danny Langsdorf and head coach Mike Riley like what they’ve seen from Ozigbo, they just want more consistency from down to down. Riley said a more effective ground game can help a Nebraska offense that has stalled of sorts and hasn’t topped 30 points since the first two games of the season. That’s not a hot take for a coach to make (especially at a place like Nebraska), it’s a freezing cold fact. So, over Nebraska’s bye week, the running back room went back to work on the basics. Ozigbo said the team has done a good job of distributing the reps in practice. Even if one back gets the lion’s share of the work in game, Ozigbo said they want everybody to have enough reps during the week “to feel comfortable to go in.” Still, it seems like Ozigbo has become the guy for Nebraska. He’s 28 yards away from 1,000 in his career – something he didn’t even know about until an old high school coach brought it to his attention – and figures to get there on Saturday against a Boilermakers defense that has been middle of the pack nationally defending the run.